In Acadiana, we have an abundance of fresh ingredients available year-round. Thanks to freezers, we can also save produce to use at a later date. If you use fresh fruits or vegetables, consider adding a few ice cubes to keep your smoothie cold. If the produce you desire isn’t in season, you can always use frozen items from the grocery store. However, we strongly believe in supporting local Louisiana and Acadiana businesses, so check out your area farmers markets for fresh ingredients. 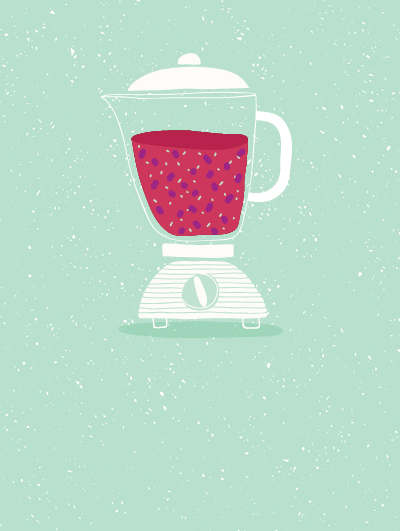 This blend of berries will give you an antioxidant boost. A bit tart in flavor, you can easily add a dash of local honey to give it a boost – or throw in some greens for an easy way to get your daily dose. For a creamier texture and additional protein and probiotics, add half a cup of yogurt to your favorite smoothie. The addition of a tangelo (a citrus fruit hybrid of a tangerine and grapefruit or pomelo) gives this smoothie a tart, sassy kick and is packed with Vitamin C.
This Valentine's Day, treat your sweetheart to a heart-healthy smoothie. Strawberries can help control three of the risk factors associated with heart disease: high cholesterol, high blood pressure and high homocysteine levels. While most of these recipes use raw ingredients, for this one, you'll need to bake or microwave the sweet potato until soft; then peel it and toss it in your blender. Sweet potatoes are rich in vitamins B6, C, D and magnesium, and the addition of banana gives you a potassium boost. Watching your calorie intake? Look at labels carefully. You can save a lot of calories if you make sure the milk or milk alternative you use has no sugar added. Give your tastebuds a tropical vacation that benefits your body, too. Pineapple has high amounts of vitamin C and manganese (which is important for antioxidant defenses). It also gives you a vitamin B boost and some dietary fiber. If you're exercising regularly, consider adding a protein supplement or powder to your smoothie. Some of them enhance the taste and can add nutritional benefits, but ask your doctor or trainer which would work best with your routine. We all know that spinach and kale are packed with nutrients, but the secret weapon in this recipe might just be the kiwi fruit, which contains vitamins C and K, copper and dietary fiber. It's also a good source of vitamin E, potassium, folate and manganese. One of the best parts about making smoothies is that you can be creative. Substitute any of these ingredients for ones that suit your taste buds better.